A 6-week trip undertaken during May-June 2009 in a 4x4 bushcamper from Darwin to Perth, visiting some of the remote and unspoilt areas of Australia's northwest. 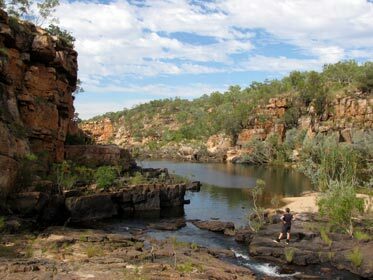 Explores the gorges, rivers, isolated beaches and other features of the rugged and ancient landscapes of the Kimberley, Pilbara and Coral Coast by car, canoe and on foot. Click on a marker to find out more about each trek - you may need to move the map or zoom out to locate subsequent markers.